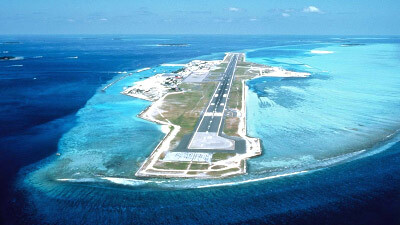 Velana International Airport (previously known as Ibrahim Nasir International Airport and Malé International Airport) is on an island that only houses the airport and related facilities. The airport located on Hulhule Island is a modern well-equipped airport with all the facilities and services one would expect from an international airport. The airport complex houses terminals for international and domestic arrivals and departures, landside shops and airside duty free shops, restaurants, medical facilities, bank, post office and other services. The island also houses the airport hotel.